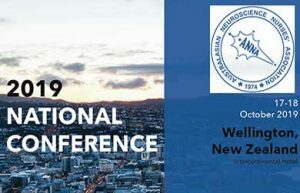 The next ANNA Annual Conference will be held on 17-18th October 2019 at the Intercontinental Hotel in Wellington, New Zealand. Drinks and canapés in the Wellington Room, Intercontinental Hotel. 3 Course meal and drinks at FoxGlove Restaurant, Queens Wharf. Intercontinental Hotel – Wellington– You have until the 17th August to take advantage of special pricing for delegates. Contact the Conference Convenor for more information.